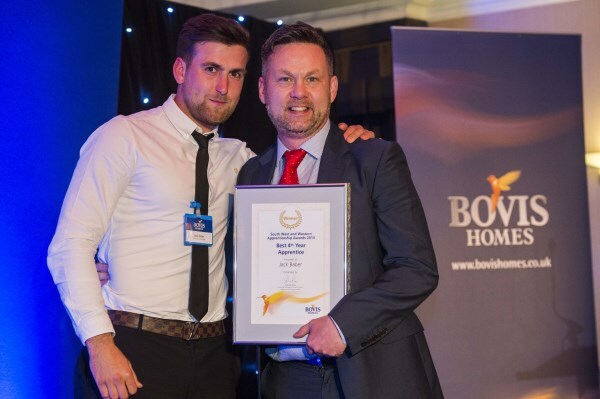 Young people learning their trades on Bristol building sites were among the winners at Bovis Homes' annual apprentice awards in the city recently. Jack Baber, Ryan Villis, James Price and Jake Alderman were all recognised for their hard-work and dedication by Bovis Homes at a prestigious ceremony at the Aztec West Hotel. 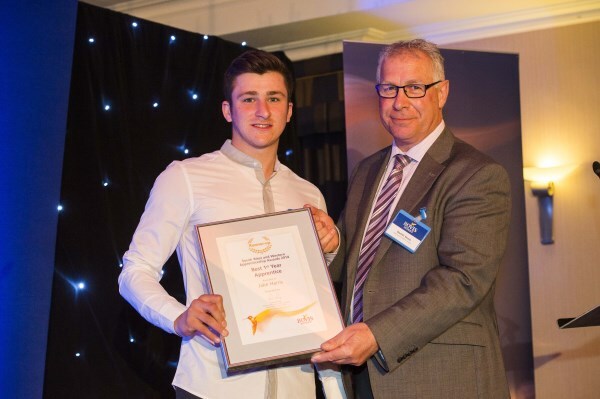 For former Filton College student Jack, winning the best Fourth-year Apprentice award was a fitting way to bring his plumbing apprenticeship to a close as he has landed a major prize at the annual awards in each of his four years in the business. Jack has worked on Bovis Homes developments across Bristol, most recently at the Charlton Hayes location in Filton, where work began on more than 2,000 new homes four years ago. Now he has completed his apprenticeship he has been offered a full-time job as assistant site manager at Bovis Homes. "When I first started I was only 17 so I was quite shy but through the apprenticeship I have really come out of my shell," said Jack, who received a £500 voucher as well as a trophy. For former Brislington Enterprise College pupil Ryan it was also a particularly big night as he was named runner-up in the Site Apprentice of the Year category, while James and Jake were highly commended. Bovis Homes South Division Managing Director, Malcolm Pink, had words of praise for all the Bristol winners for their contribution to the growing business. "These lads have shown the commitment and hard work that will serve them well in their future careers and we are delighted to have them working with us," he said. "We will continue to foster and encourage those attributes because enthusiastic young people willing to learn are the lifeblood of the industry, not to mention the local economy.